At first when you develop Laryngopharyngeal Reflux (LPR) you may only have one symptom that at first could be rather minimal but without knowing it you may get worse over time and you may develop more symptoms that can worsen if you don’t target the problem properly. The sooner you treat LPR properly, the better the chance for you to heal more quickly and recover. For further information check out my complete LPR guide where I cover LPR causes, symptoms and treatment. I am often asked what is LPR or what is silent reflux, well if you didn’t already know LPR (Laryngopharyngeal Reflux disease) is caused by acid reflux, more accurately from a stomach enzyme called pepsin. If you didn’t know pepsin is in the stomach to help digest proteins. This reflux goes up the esophagus and into the throat when in a gaseous state. So, when it makes its way up into the throat it can cause inflammation. Usually resulting in LPR symptoms. 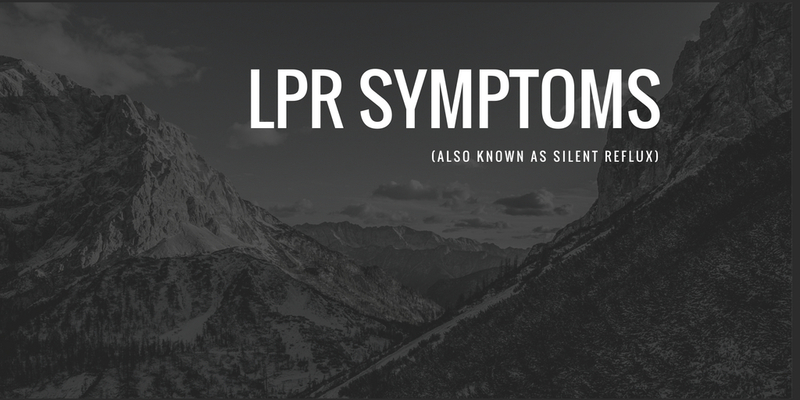 There are a host of possible LPR symptoms though it’s less likely you have LPR if you only have 1 symptom for example. If you have 2-3+ symptoms, it’s much more likely your symptoms are related to LPR. The most common symptom with LPR is a sore or irritated throat. This as you would expect is from the acid coming up into the throat and directly damaging it. Due to the throat being damaged by the acid you sometimes get an excess build up of mucus in the throat. The body does this because of the inflammation in the throat, its like a sort of self defense to keep the throat lubricated to stop it from drying out and causing more damage. This means more mucus production in the throat. Having a cough is of course another one of the common symptoms of LPR. Sometimes because of excess mucus in the throat you will have the tendency to cough more often. Just like with the chronic cough you may have the need to constantly clear your throat. This is from the excess mucus and the general inflammation of the throat. LPR can cause inflammation of the sinuses and as I have mentioned there is excess mucus in the throat because of this. It must go somewhere, and this often means down the throat causing the post nasal drip. There is a valve in the throat which will typically open when eating and swallowing food. If this valve is damaged or stressed from the acid damage it may not work as it should and this sometimes can lead to problems with swallowing. Believe it or not LPR can cause ear pain. While this isn’t the most common symptom it can happen. How it happens is from a tube called the eustachian tube which connects the ear to the airways. The gaseous reflux can pass through this tube and give irritation and pain inside the ear. As the acid comes up into the throat there will be contact with larynx which is also known as the voice box. The acid that encounters it can damage it. This can lead to hoarseness and pain when talking. LPR can cause difficulty breathing. The stomach acid comes up and causes inflammation in the airways, this can cause breathing problems. According to experts determining whether you have asthma or LPR can be understood by your breathing. If you have problems with inhaling (breathing in) it comes from LPR whereas if you have problems exhaling (breathing out) that is typically a sign of an asthmatic. A lump in the throat feeling is sometimes also referred to as Globus sensation. This is usually caused from inflammation of the throat. You may also have the general tight feeling of the throat or as if something in stuck in the throat. Someone who burps more than the average person is more likely to have LPR. The problem with burping is it shows that there is gas coming up. This gas can carry the acid (more importantly pepsin) up into the throat area, which shows the connection between someone who burps too much and someone who has LPR symptoms. Acid which refluxes up can sometimes make its way all the way up into the mouth. This can give you an acidic taste in the mouth and even pain with your tongue. 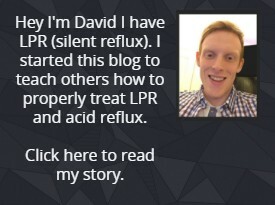 A lot of physicians and doctors are not well versed in LPR and often mistreat it as if it where GERD or more typical reflux with symptoms such as heartburn. This often leads to being treated for GERD which usually won’t help someone with LPR. Luckily there is a test you can do which is a reliable test that can quite accurately determine if you have LPR (silent reflux). The test is called RSI and stands for Reflux Symptom Index. I have created the test, so you can take it right here on my site. Click here to take the test! Finally, for all causes of LPR, symptoms (helping each symptom) along with LPR treatment check out my Complete LPR guide. Next articleBaking Soda for Heartburn – Is It Effective?